The next entry in the Civ franchise will be arriving this fall. 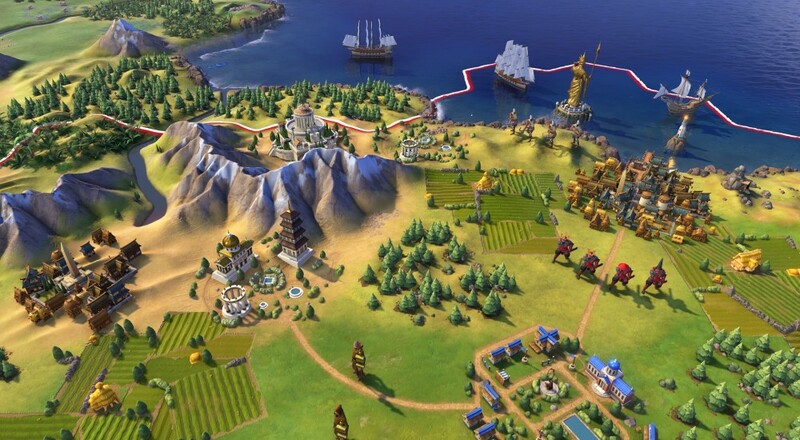 Civilization VI was announced recently and it seems that the latest in this long-running series will offer some new twists on the well-known formula. Polygon has a more in-depth article on the title that dives into some of the bigger changes that are on the way, such as city improvements getting placed around your city rather than a button to click and units stacking to form new units. It's certainly worth a read if you're into the franchise and curious what impact these changes will mean. For folks curious about the co-op side of things, however, there's not too much to go on. For now, based on the information Firaxis has stated on their website and on the game's Steam page, we're assuming that Civilization VI will at least offer the same co-op that its predecessor did. Specifically, that it will be "played in multiplayer with each player picking to join the same team... assuming a balance of 3 players vs 3 AI are chosen, but you can weight it to 3vs1vs1vs1 or 3vs2 or 2vs1, etc." As soon as more information about what those "new multiplayer modes" will entail, we'll update our database page for the title. Civilization VI is available for pre-order on Steam for $59.99 and is slated for an October 21, 2016 release. Page created in 0.4102 seconds.